This subject is something I know about from the inside and out. When I see cars for sale I see dollar signs. Anyone can make money with cars. The trick is to make the maximum amount per deal. This of course starts with the most basic sale principal of all time. First you buy low and then you sell high. Yes this is easier said then done. I know people that have turned this into an art form. I wrote an article about my mentor and his unique used car business. I enjoyed a unique perspective that helped me learn from his mistakes and his success. I also learned from others. I am currently writing a book on cars for sale focusing on the buying low part. This book will take some time, but I wanted to share some tips with you Today. Lets start with the product since the success of any business is directly related to the quality of the product. When first getting started only buy desirable cars. A good example is the 99 Infinity Q45 above and the Mercedes Benz below. They only come 1 way and that is loaded. Buyers will over look age, high mileage and many other things to wrap themselves in luxury. However, you have to get the car cheap for this to work. Although this isn’t breaking news the method I use is considered unconventional. I started buying low by using the mass low-ball offer on private cars for sale. This is a modified car buying trick I learned from a late night infomercial real-estate guru. Sidebar: Many rich and famous people built their success on the back of buying and selling cars to raise capital. You have to start somewhere. Here’s how it works. Unlike real estate, people with private cars for sale are almost always motivated sellers. Your job is to find out just how motivated they are. You know from experience, when you have cars for sale, how important getting rid of the old one fast is. People want to move on and that old car sitting around stops this from happening. You can use this to your advantage by being patient and realizing the seller needs you. Nevertheless, to maximize this advantage you will need cash in hand. The power of a cash now offer can make sellers jump at the stack of bills and forget the original asking price. The mass low-ball offer helps you find the most motivated of these automobile sellers. It works like this; you go through the local car classifieds and look at model verses price. You then pick out the most popular models. These should be loaded with options, better known as selling features. Highlight the ones at the lowest prices. Circle all the good ads and build up a big list. If you need help on determining what a good price for a specific model car or truck is you can look up unlimited book values for free at Kelly Blue Book. Bookmark or share this buying cars for sale resource page with a friend. Come back to use all the valuable tools on this website. After purifying the list make the calls and go see the vehicles. You want to make sure the car “has eye”. To turn a profit selling cars the inventory must have extreme curb appeal. “Eye” refers to the pleasant feeling someone gets deep inside when they’re looking at something that brings an involuntary positive emotional response generating the words “I want”. Luxury Infinity, Acura, Lexus and sporty automobiles even with high miles sell much easier for this reason. Then make the insulting low ball offers. Thousands below the asking price. You must be firm and direct. Most people will say no way. Leave them your name and number and tell them to call you if they get stuck and need the money. You’ll be surprised at how many calls you will get. Just do this over and over until you find the ultimate deal. Don’t hesitate on walking away from a deal or making a counter offer even lower to cover any auto repair costs. Before the money changes hands check the vehicle out thoroughly. More on the subject on my how to buy used cars page. See how to check a vehicle with a used car inspection guide. Its time to repair the little things like loose trim and broken taillights or any other small dollar repairs that attract attention. Then detail the car to the hilt. Do it yourself or spend money on it you can’t go wrong with this decision. Either way this is the step that brings the dollars. It is also the big mistake that your seller has most likely made by not performing a full head to toe detailing. When most potential car buyers see the ultimate shinny clean, new looking and fresh smelling car they picture themselves behind the wheel. This is exactly what you’re looking for and allows you to sell this unit at the highest possible price. I have more on the power of a clean vehicle in my information, tips and secrets of Car detailing. Also review more information on the buying low portion of the making money with cars process as well as a true success story about the guy who got me started buying and selling cars. 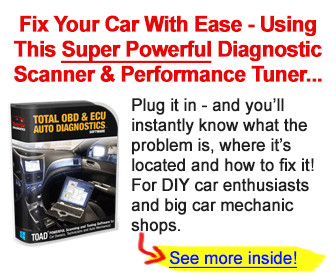 This next page reviews the most successful car business model I have seen. Learn what made it work so well and what crushed it. This true story may make you think twice about getting into the used car business. Selling three cars a year is considered private sale. If you are serious about this business and you want to expand into your own car lot learn how you can get a car dealer license. Learn more about Kelly blue book. Review company history and tips on how to use their newly designed. They also provide links to cars for sale. Automotive information and facts. Learn the car business from the inside out. Make money and save money with powerful information. Learn more on the homepage about what you can find on this Car questions website.